Why Qatar is a famous tourist destination – Middle Eastern Beauty! In spite of allowing international brands to operate in Qatar amidst the great infrastructure provided, the Qataris have remained conservative and prudent. One of the most popular nations in the Middle East, Qatar features a plethora of varying attractions that cater to every member of the family. For those looking for entertainment, the Kingdom of Aladdin Entertainment Park is a popular stopover or you could always take a cruise on a dhow, visit the floating museum, stroll through Doha’s Cornice Park or go on a desert adventure. The delicious cuisine of Qatar must be sampled by those visiting the country for its dishes are a true representation of the very essence of Middle Eastern cuisine. Complete with delicious side dishes, appetizers, starters and main dishes, Qatari cuisine strive for flavour. 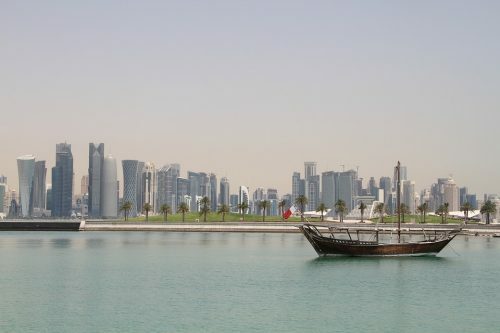 The appealing nation of Qatar offers many interesting attractions for visitors. Amongst these are a number of attractive beaches the likes of Simaisma Family Beach that are sure to capture the interest of the discerning leisure seeker. As you enjoy the beaches of Qatar a choice of accommodation that you & your loved ones could consider would be one of the Doha family hotels. The conveniently located Souq Waqif Boutique Hotel will be an ideal option for the discerning traveller. Shopping is a major highlight in Qatar and here you can find everything from sophisticated malls to traditional souqs that sell every imaginable item under the sun. Next Post Wonderful beaches in Sri Lanka – Let the crystalline waves wash calm into your soul.